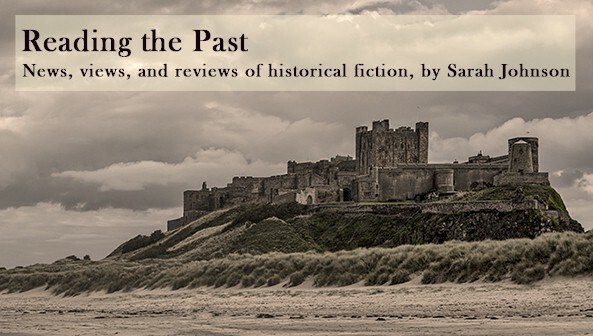 In today's guest post, Syrie James, a longtime fan of British literature and the author of many historical novels set in the 19th century, reflects on an imaginary dinner conversation with three of her favorite authors. 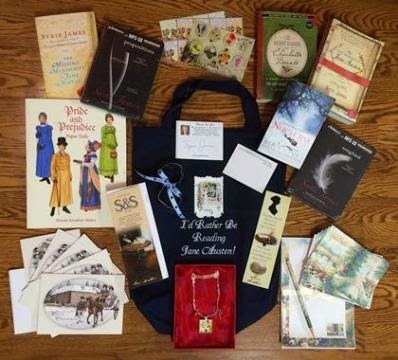 There's a Jane Austen-themed giveaway, too, open internationally to anyone who leaves a comment. See details at the end. I was having lunch with a friend the other day and she asked me, totally out of the blue, “If you could dine with any three authors in history, who would you choose?” It isn’t the kind of question you expect to be asked while chatting about life and family and books in the courtyard of a really cute café over ahi tuna salads, and I promptly replied, “You mean I can only pick three? Out of all the literary greats in history? That’s harsh.” But I was game. I gave it a go. “I’m sure they would,” my friend said, smiling. “Unless, of course, he didn’t actually write those plays himself,” my friend pointed out. Readers, what famous people from the past would you like to have dinner with, and why? Oh how wonderful it would be to dine with Jane Austen!! A fitting way to end the tour with a fun post from the author. I always like to think about this question and love others doing the same. Of course we could have guessed Jane and Charlotte but I was not thinking of Will. Me thinks he would have his hands full at this lunch. I hope that Syrie thinks about ringing in the holiday season in this way every year. I am thrilled for the loot that the five winners will receive although I must admit a little jealous as well. I am definitely looking forward to reading this. Wouldn't it be cool to invite Austin, Bronte, and Shakespeare over for takeout Chinese and then show them "Shakespeare in Love"? That would be a memorable night! "A dish fit for the gods!" Thanks for the giveaway, Syrie! I've really enjoyed your blog tour and look forward to reading your latest book. A.A. Milne, because he created one of my favorite characters to read about as a child. Agatha Christie, because I love her mysteries featuring Hercule Poirot, her books kept me glued to the pages. Thank you for the giveaway, what a great tour, can't wait to start this book. Jean, I'm a big fan of A.A. Milne, too. 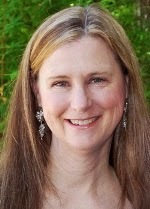 When I wrote a guest piece about 6 books that have changed my life (http://luxuryreading.com/six-books-that-changed-my-life-by-syrie-james/), that almost made the list--I adored Winnie the Pooh and Christopher Robin when I was a little girl. I also love Agatha Christie and have read every single one of her novels! I wanted to put her on the list, too--but couldn't figure out which of her novels to single out. Someday I'll post a longer version of that list! I would love to meet Jane Austen of course. But I have always been curious about Anne Bronte. I have enjoyed all the stops on the tour. I am sad it is over. I adore Anne Bronte. Have you read my novel, The Secret Diaries of Charlotte Bronte? I had the best time immersing myself in the world of the Brontes, and bringing those 3 brilliant women (Emily included) to life in my novel. Thank you all for commenting and entering the contest! It's great to see that there are readers following along with all of the tour stops (of which this is the last). Good luck to everyone! I would love to have dinner with Katherine Hepburn. She was so classy. I've enjoyed all the tour stops. It's been fun! I like your choice of lunch guests. Thanks! Wish you could dine with us! Thank you so much for hosting me here today, Sarah. Thanks you all for your comments, and for following the blog tour. I, too, am sad that it's over. It's been fun chatting with you all this month. However-- I won't be choosing winners for a week! So please tell your friends to stop by! I hope you'll go back and visit any of the stops on the blog tour that you might have missed, and post a comment. Best of luck to all, and happy holidays! Good choice for dinner partners. Three of the greatest. I love your comment "Well, after I recovered from the shock of seeing them in person". I might be to in awe to even say anything. I'd love to have dinner with C.S. Lewis and J.R.R. Tolkien because they were good friends, as well as extremely talented writers, and I can imagine that just listening in on their conversations would be fascinating! Interesting post. 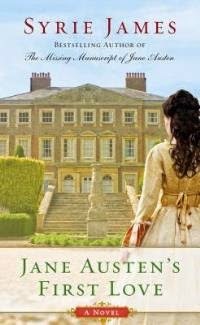 Wouldn't it be fun to visit with Georgette Heyer, hopefully hear some regency cant, first hand? And I'd like to talk to Louisa May Alcott about her literary friends and her Civil War experience. I agree, Linda. Let's plan that dinner party together! Thanks, Jessica. I hope you love Jane Austen's First Love! I love, love, love asking the "who would you want to have dinner with?" question! I love James' answer too! All three guests would be absolutely fascinating! Can I be a fly on the wall at your dinner? I want to hear all the answers to the questions you would ask! I very much want to read this book and would love to win. And after you'd told them how popular they were and how many adaptations had been mad, Shakespeare would be quite understandably demanding some royalties -LOTS of royalties! - and would try to persuade his fellow guests that they too were entitled. ;-) He was very much a commercial writer. Whoever I invited to dinner, I'd have it catered by my friend the historian Gillian Polack, who has arranged a number of historical banquets in her time and would know how to speak to them. I think I'd like to speak to Lord Byron, who had some amazing adventures, and his grown up daughter Ada - okay, she was a mathematician, not a writer, but I'd love to meet the mother of computer programming... Gillian could do her amazing Regency dinner for them and could actually ask the questions while I sat there stunned. PS Tolkien and Lewis would be fascinating conversationalists, yes, but they preferred talking to men - the Inklings gave the cold shoulder to one famous American woman writer when she had the nerve to "invade" one of their pub meetings. And they both smoked! Lewis started at eleven.